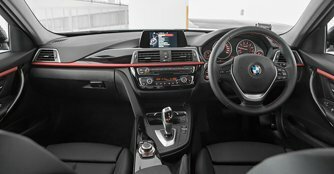 BMW replaces the 1.6-litre four-cylinder 316i with its latest 3 Series Sedan 318i Sport that is decorated with a few distinctive features on the outside and powered by a new heart. In 1855, Robert Browning popularised the phrase "less is more" in his poem, The Faultless Painter. This phrase has been used to accentuate the beauty in simplicity and was one of the things that came to this writer's mind when he spent a weekend in the car that you see across these pages. The BMW 3 Series has achieved a similar cult status as the above mentioned phrase for being the poster boy of compact executive sedans. However, with the latest Life Cycle Impulse (LCI) iteration of the 3 Series, BMW seems to have raised a few eyebrows by doing away with one pot in the entry-level model that you see here. 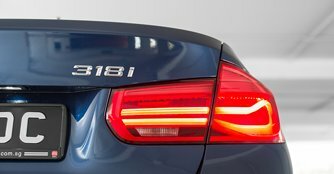 This eyebrow-raising change comes in the form of a three-cylinder turbocharged petrol heart that sits in the 3 Series Sedan 318i Sport. Derived from the MINI Cooper, this three-pot turbo motor is also more recently found in the 2 Series Active Tourer. Visual changes are minimal but should not be too difficult for BMW fanboys to distinguish. To the rest of us mere casuals, it could very well be like a game of Where's Wally. This 318i sports a slightly resculpted front bumper, new aprons with revised air intakes at the front as well as redesigned LED head and tail lamps that come standard. Although aggressive and sporty in its execution, the car retains a premium styling cue that has come to define the marque. Those who have owned or driven the previous models will find themselves right at home in the cabin of this new one as a large part of it remains the same. A dash of chrome highlights now decorate the controls, air vents and central control panel. You will also find an improved centre console with a sliding lid for the cup holders. Media and vehicle information is accessed via the BMW ConnectedDrive system housed in a 6.5-inch screen. As always, the interface is idiot-proof and a joy to use. The 320i EfficientDynamics gives you the best of sound driving dynamics while staying thrifty at the pumps.